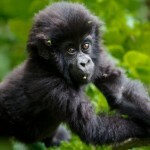 Turkish Airlines - return flights from Europe to Uganda from €392! Cheap flights to Canada – Belgium to Winnipeg from €443 or £324! Error fare flights to Australia from Zurich from €237! Turkish Airlines – return flights from Europe to Uganda from €392! Another interesting deal based on recent promotional sale of Turkish Airlines this time for a bit more experienced travelers looking for an interesting solution to visit beautiful African country Uganda. . Uganda is a country that became much more safer nowadays also Lonely Planet awarded this country as “number one destination in 2012”. Return flights From Europe are now available already for €392 or £337. Major attraction in Uganda is tracking of mountain gorilla. Best place to go is Bwindi Impenetrable forest where live more than half of the world´s population… In this place you have also great opportunity to spot chimpanzees or rarely seen forest elephants. If interested in this promotional offer of Turkish Airlines please look for flights till 15th of December 2015 and from January till April 2016. Max stay 12 months. Hotel rooms in Uganda are cheap compared to most of European countries. If you want to book your hotel in India in advance you may check some affordable accommodation via booking agents such as Hotelopia. They are now also offering 6% promotional code for additional discount off hotel rooms. More details to be found here. Plenty of travel options ex various European cities and countries are available making this an interesting deal for vast of travelers in Europe that are looking for a reasonable solution to this part of Africa based on top ranked Turkish Airlines. You may consider to depart from Italy, Germany, UK, Belgium, Netherlands, Spain, Prague and more… This promotional sale is valid for bookings made till 15th of June or until sold out. Travel dates are the easiest to check directly with Turkish Airlines as they are offering +-3 days searching view. To check your connection possibilities we recommend to use Skyscanner. This tool gives you quickly an idea which low-cost airlines are available from your home city. You may also consider our another deal to Africa – Europe – Kilimanjaro from €431. Booking sample with Turkish Airlines – cheap return flights from Europe to Uganda from €392! In this case you would be departing from Hamburg to Entebbe on 14th of February. Your return flight from Africa back to Europe would be on 28th of February 2016.